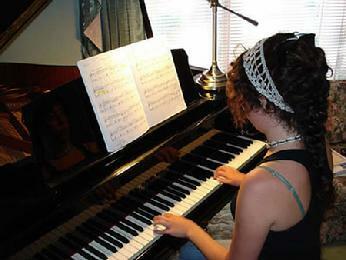 Do you know someone that wants to learn how to play the piano in a fun and unique way? Do you know a creative musical person and would like them to learn piano from someone that performs and records for a living? Would you like to learn how to improvise? Would you like to read and play "fake books', like the professionals do? How about learning in a "professional" recording studio setting, surrounded by state-of-the-art technology, and on a Grand Piano? This is what I do.... I have been a professional musician since I was seventeen and I would like to pass on what I have learned over thirty plus years to you! I incorporate scales, lesson books, fake books, "jamming", songs "you' want to learn, drum beats, and a hands on look at recording as part of the lesson. Many teachers can do a good job of teaching but few have the real life experience I have. Please call me at 517-487-1148 for a FREE mini-lesson to show you what I can do for you or your child. Any age is a good age to learn!